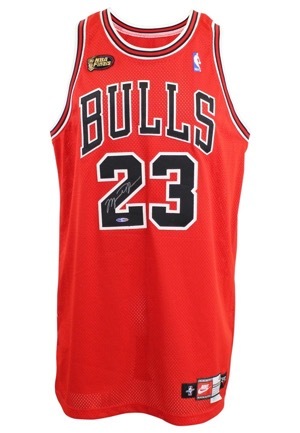 The Chicago Bulls completed their second three-peat in the 1997-98 season led by five-time MVP Michael Jordan. Every time Jordan was in an NBA Finals he captured the Finals MVP award, and during the 1997-98 NBA Finals Jordan averaged 33.5 points in a staggering 41.7 minutes per game while capturing his sixth and final NBA championship. On the front left tail is the Nike manufacturer's tag size 48. Attached is a flag tag reading "LENGTH +4 MADE IN U.S.A". 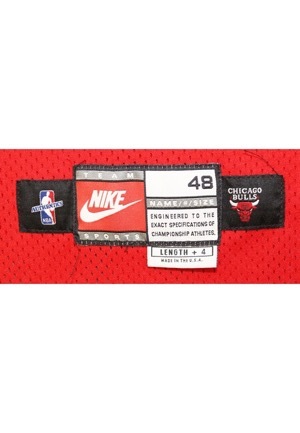 The inside inseam has two tags, a Nike washing instructions tag and a "1997-98" year tag. 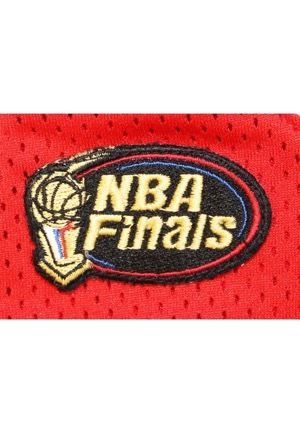 On the upper left chest is the official “NBA” logo embroidered and on the upper right chest is the “NBA Finals” patch in preparation of the finals. Across the front is "BULLS." 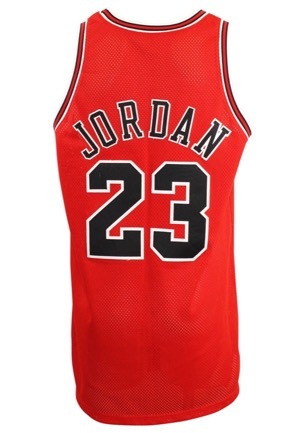 Below that and on the back is the player number "23". Across the back is the player name "JORDAN." All lettering and numbering is done in black on white tackle twill. 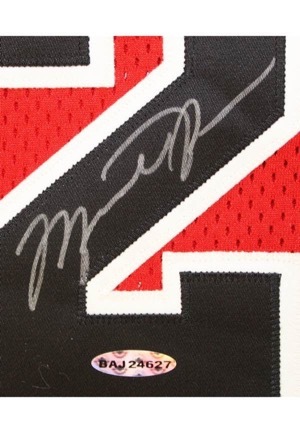 Jordan signed the front of the jersey inside the player number “2” and in our opinion the signature rates a near 10. Below the signature is an Upper Deck hologram serial number “BAJ24627”. This jersey is properly tagged, was presented to us as game-used and in our opinion shows appropriate use.